"We felt very well prepared with all the information you provided. Our guides provided excellent history and information regarding animals and the entire environment we were in. Their service was outstanding and I felt extremely pampered while "roughing it". Overall this trip had it all. It was peaceful and exciting. Had a perfect combination of being in the great outdoors, yet having gourmet meals and service." This trip topped them all. 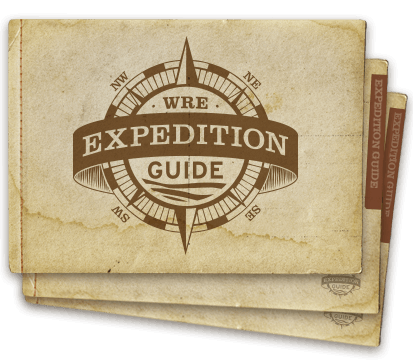 Western River Expeditions did an outstanding job throughout the reservation process. The pre-travel information was superb. Everything in the information package was spot on!! Eric, John and Kip were outstanding guides. They know their business, and the river. 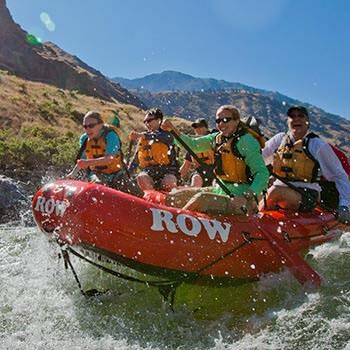 This trip on the Snake River exceeded all my expectations. I have done a lot of outdoor adventuring in Canada, Europe and the USA. This trip topped them all. Our 5 guides, Jonathon, Chris, Britt, Ernest and Shane were extraordinary. They were engaging, helpful, funny, real and most of all, professional. They made the trip enjoyable. They were extremely knowledgeable on all topics relating to the river, white water rafting, the history of the canyon, and the geology of the area. This trip was truly educational and fun. The white water rafting was as advertised, the food was very good and healthful. Our needs were thought of before even we thought of them and were met cheerfully and promptly. The transportation from airport to Cambridge was comfortable and on time, as was the bus back from the river to Clarkston. The 5 guides were exceptional - always concerned with safety, full of knowledge, and lots of fun!! They worked tirelessly, and we're always intent in giving us the best experience possible - best guides ever!! The trip met all our expectations, and more - a fantastic experience!! Excellent. Very informative and fun. This trip is a well oiled machine so to speak. no glitches what-so-ever. So excellent and thorough, it keeps us coming back! The what to pack list was extensive and very helpful. I actually over packed, but was glad that I had everything I needed. Amazing guides - very knowledgeable of local history in the canyon, beyond helpful to each guest. They were personable and patient. They do everything to a 5+ star experience. Thank you for comforting my wife with valuable information on safety. She felt safe as we entered the Snake! The guides were great, full of information, excellent camp set-up, and great cooks! Wow! What a good time we had! We felt very well prepared with all the information you provided. Our guides provided excellent history and information regarding animals and the entire environment we were in. Their service was outstanding and I felt extremely pampered while "roughing it". Overall this trip had it all. It was peaceful and exciting. Had a perfect combination of being in the great outdoors, yet having gourmet meals and service. I can not say enough about our excellent guides: Connie, Lynn and Neil! They were very professional and knowledgeable. I have such admiration for the work they do. They made our trip so enjoyable. Highly recommending this trip to everyone I see! This trip was completely out of my comfort zone. I normally would not agree to a vacation if a hotel, hot shower and hair dryer are not included! But this trip was so relazing and forced me to decompress from my phone that is normally attached to me! Thank you for an amazing trip!